The best performance reviews encourage managers and employees to communicate, share ideas, opinions, and information. 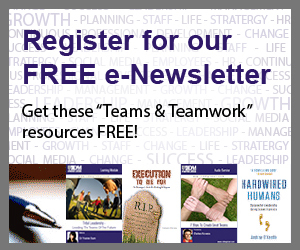 This collection of articles helps employers and employees get the most out of the performance management process. Exceeded expectations. Achieved expectations. Did not meet expectations. How many companies are aware that their current performance management system may be failing to correctly assess and reward employee performance? The following 10 tips are designed to help you prepare for your next performance review process. Thanks in large part to the various corporate scandals now in the public eye, many organizations have begun to focus on HOW work gets done, not just on bottom line results. When we talk about the HOW, we are talking about competencies. This means that competency models are now receiving greater attention than ever before. Many managers dislike the process of employee reviews. They see them as a necessary part of their role as a manager. Today the problem is not that the wrong things are being measured, but that too much is being measured. Executives appear to be obsessed with quantification.